A Bit Curious About Bitcoin’s Future in AV? Tokens aren’t just for arcades anymore. Dozens of internet-based cryptocurrencies and online tokens are being used globally as legitimate currencies—Litecoin, Ripple, Ethereum, Dogecoin, NEM, Monero, and CryptoKitties, just to name a few. But with a value increase of more than 1000 percent in 2017, the cryptocurrency Bitcoin towers over everything else. 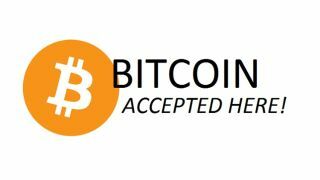 Bitcoin was created by a person known as Satoshi Nakamoto, then released as open-source software in 2009, but no central authority owns or controls Bitcoin. Its network is peer-to-peer and it’s never been printed; Bitcoin is a digital-only currency with a cap at 21 million units. As of posting time today, one Bitcoin is worth nearly $16,000 US dollars. At the base of Bitcoin and many cryptocurrencies is the decentralized technology model known as blockchain. According to IBM, blockchain is a shared ledger for digitally recording the history of transactions; this ledger cannot be altered and there is no single owner. It is a radical new method for cyber security and verification, and it’s making it easier for marketplaces to form. Gartner Research, the global intelligence firm, included blockchain technology in its "2017 Hype Cycle for Emerging Technologies" as potentially transformative digital platform especially as AI and machine learning becomes more popular. Blockchain's cryptography-based model is decentralized and scalable, a benefit for complex deployments around the world, another boon for Bitcoin holders. Analysts have expressed skepticism about four major areas of Bitcoin: questions around its regulation (countries such as Kuwait refuse to recognize it as a currency); irregular transaction fees; the insatiable energy appetite of crypt mines; and market volatility with concerns about a Bitcoin bubble. Janey Yellen, Chair of the Federal Reserve, called Bitcoin "highly speculative." But the horse is not only past the gate, it’s out of the stadium. The digital currency market hit $300 billion in 2017. In the same way that the development of the smartphone engendered the mobile app revolution, many analysts predict that as the Bitcoin network and blockchain technologies more widely adopted, cryptocurrency investments should increase in turn. Despite the crypto ups and downs, more schools—from preschools to colleges—are accepting internet currencies as legitimate payment. Some institutions are creating their own digital currencies. Look at the example of LiveEdu, the “next-gen Lynda.com.” LiveEDU wants to offer user-created, project-based learning videos, and it is currently undergoing a presale initial coin offering (ICO) of its own design. Bitcoin is still a nascent form of worldwide payment, but there is enough evidence to suggest that the cryptocurrency movement will pick up steam. Blockchain and cryptocurrencies are swift-moving spaces with significance for all business owners and special relevance for technologists. #AVTweeps: are you accepting (or using) digital-only currency as payment for AV equipment or services? Tweet us @AVTechnologyMag.